Raw research die for laboratory study of device operation over a wide range of device sizes. The die are 7860μm by 5760μm and consists of 9 columns of 20 devices of sizes 1μm, 2μm, 3μm, 4μm, 5μm, 6μm, 10μm, 20μm, and 30μm. 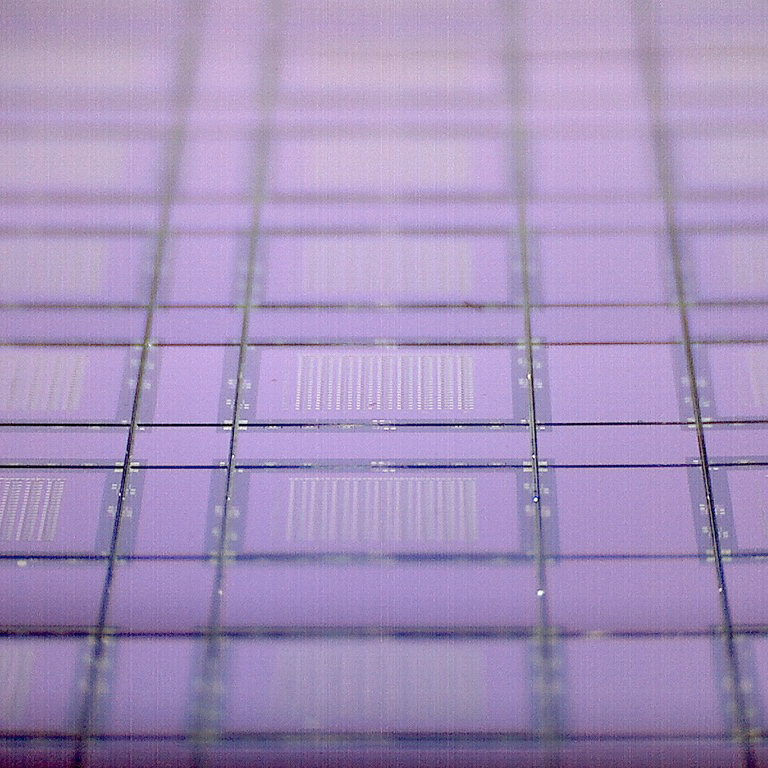 From the lab of memristor pioneer Dr. Kris Campbell at Boise State University. 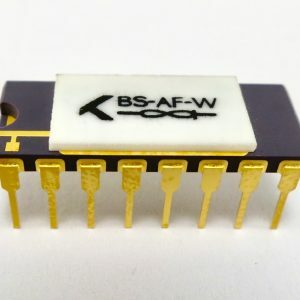 These devices were developed specifically for low power neuromemristive applications such as AHaH Computing and can be applied to your custom CMOS circuits via our CMOS BEOL Service or licensed for manufacture. Please read the shipping information page especially if you are ordering from outside the United States, as all extra import, duty and/or other taxes may apply. 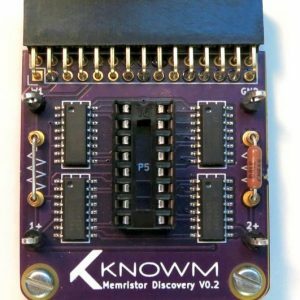 For more in-depth information about the device properties and precaution to take while working with the memristors download the Knowm Memristors Data Sheet. Knowm raw research die were created to allow study of device operation over a range of device sizes. The die consists of 9 columns of 20 devices, each column corresponding to a different device size. The top row, not numbered, is a metal continuity row that is used as a diagnostic tool for checking probe station functionality. For devices of size 6μm or less, the device via is round and the size refers to the nominal via diameter. For devices of sizes 10μm, 20μm, and 30μm, the device via shape is square and the size corresponds to the nominal length of a side. This material stack is based on mobile metal ion conduction through a chalcogenide material. The devices are fabricated with a layer of metal that is easily oxidizable, located near one electrode. When a voltage is applied across the device with the more positive potential on the electrode near this metal layer, the metal is oxidized to form ions. Once formed, the ions move through the device towards the lower potential electrode. The ions move through a layer of amorphous chalcogenide material (the active layer) to reach the lower potential electrode where they are reduced to their metallic form and eventually form a conductive pathway between both electrodes that spans the active material layer, lowering the device resistance. Reversing the direction of the applied potential causes the conductive channel to dissolve and the device resistance to increase. The device is bipolar, cycling between high and low resistance values by switching the polarity of the applied potential. The resistance is related at any time to the amount of metal located within the active layer. For research, educational, CMOS BEOL and license evaluation use. Not for resale. Discounts are available for bulk orders. Discounted prices are automatically calculated in the shopping cart. 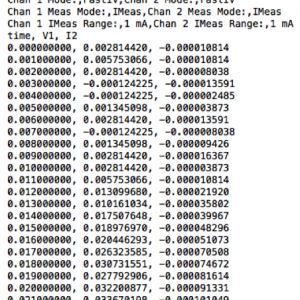 The Knowm Memristor is not a complete product. 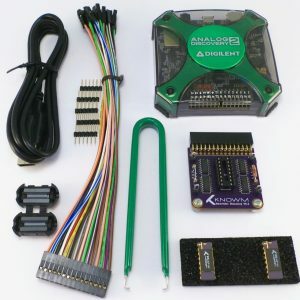 It is intended solely for use for preliminary feasibility evaluation in laboratory/development environments by technically qualified electronics experts who are familiar with the dangers and application risks associated with handling electrical mechanical components, systems and subsystems. It should not be used as all or part of a finished end product. If you are pursing a commercial use or application, please contact us.